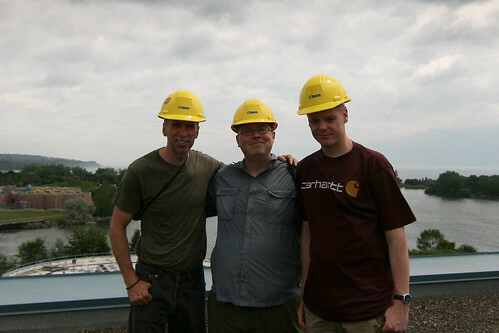 I spent part of the day spelunking through the Ashbridges Treatment Plant with Frank Lemire, William Self and Alan Hindle. It was great to tour the facility with a group and to see what caught everyone's eye and the images captured. Check out their individual sites to see more and click the big button below to see my photos so far from this second visit. It was a great day and many thanks to Plant Technician, David Dickson as well as Hassan for the tour and hospitality (and to David for taking this shot).